Shogun. 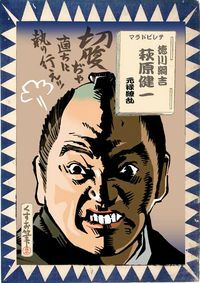 Man of the top in the Edo era. It is due to hereditary system. He likes to study. And he is to take care of the mother and He protected the all of animals. In 1971. Asano has caused the attempted murder case in the midst of events that Shogun is organized. Shogun was angry, and he drove the Asano to Harakiri without listening to reason. Servants of Asano became unemployed(Ronin). 47ronin were raised to kill to Kira that they an attempt on behalf of Asano. Shogun was pleased that loyalty(!?). He is an eccentric person.